After 13 years on Metformin to control Type 2 diabetes Mrs Patricia Ann Page changed her diet. She began following the 25:45:30 Natural Health Diet researched and recommended by her husband Arnold, author of Twenty-First Century Nutrition and Family Health. (It's had some great reviews!) A year later, in the summer of 2013, NHS doctors announced that she was free from any evidence of diabetes and they stopped prescribing medication for her. She continues to be free from the condition. Type 2 diabetes can be cured! It is estimated that 6% or 1 in 17 of the the UK's adult population has diabetes, and its prevalence is increasing. In 2002 diabetes began to appear in young people, and now even children as young as 8 are being affected, with some 35,000 sufferers under the age of 19. According to Diabetes UK many of these estimated sufferers are unaware of their condition, risking damage to their eyesight, feet and kidneys, and even to their life. 9 out of 10 cases of diabetes are what is called Type 2. Type 2 is normally ascribed to obesity, bad diet or lack of exercise. Although there are statistical links between all three of these and Type 2 diabetes, tracking down the real cause or causes is not so easy. For example, does obesity itself cause the problem or is it really the diet or lack of exercise that causes obesity? Most overweight people consume lots of sugar in drinks, confectionary and cakes, so diet could be the real cause. Certainly obesity can't be the only cause, for some people who are not overweight develop diabetes. In a famous study of 91,249 nurses in the USA, among the 741 who developed diabetes over an 8-year period the proportion of those who drank one or more sugar-sweetened fruit flavoured drinks a day was double that of those who didn't. Now sugar consists of 50% fructose, the kind of sugar found mainly in fruit, and 50% glucose, the kind of sugar our bodies manufacture and use for energy purposes. So in 2009 thirty-two overweight men and women were divided into two groups, one of which drank fructose-sweetened drinks and the other glucose-sweetened drinks. The fructose group suffered a worsening of blood glucose control and a deterioration in insulin sensitivity, in other words the beginning of diabetes. Giving them fructose was giving them diabetes! Those who drank glucose-sweetened drinks however suffered no such harm. So it seems pretty clear that consuming too much fructose is a major cause of diabetes, particularly in North America where high-fructose corn syrup has been popularized by the aggressive marketing of the maize or 'corn' producers. In the USA 9.3% of the population is diabetic! Of course someone who consumes a lot of sugar but lives an active life may not put on excess weight but may still be affected adversely by the fructose in his diet, which could explain why not all diabetics are obese. So while fructose may not be the only cause of diabetes, it is clearly a major cause, and since fructose is the main sugar found in fruit and fruit juice, 'one fruit and five veg a day' is a safer rule to follow than 'five fruit and veg a day', which is the popular advice. 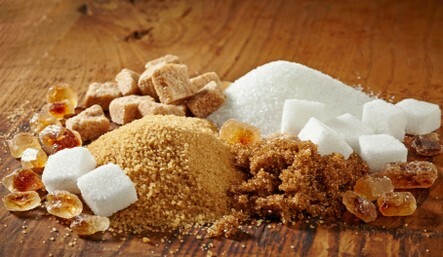 It is equally clear that the less table sugar we eat the better, since half of it is fructose, and its consumption has been implicated in all kinds of disease as well as diabetes. Besides sugar, there is growing evidence that eating too many carbohydrates increases the risk of developing diabetes. Certainly during the last 50 or 60 years in which Type 2 diabetes has become so prevalent, carbohydrate consumption has increased enormously. Carbohydrates are present in starchy foods such as breads, pastries, potatoes, pasta, rice, beans and pulses, as well as in fruit, some vegetables, and some dairy foods and sugars. So can diabetes be cured? Certainly in some cases Type 2 diabetes can be reversed. My wife was on diabetes medication for 13 years, but since adopting the 25:45:30 Natural Health Diet recommended in Twenty-First Century Nutrition and Family Health, her blood sugar levels have been normal and she has been taken off medication. This book, the fruit of studying over 500 published research papers, examines the subject in more detail than I can go into here. Perhaps more importantly, it provides practical advice to parents on eliminating added sugar from the family menu and on reducing carbohydrate consumption. It even has suggestions on how to limit a child's consumption of sweets and chocolates, which is no easy task! If you have children, or are hoping to have them, I strongly advise you to read this book in order to be sure that your kids don't join the growing numbers of schoolchildren who are having to be treated for Type 2 diabetes. Learn more about it.